Although this is and extra-professional and volunteer work, I’m happy to present my latest publication on this blog: it’s about women’s professional networking and women’s networks. We started with a survey, “How do women network?” in March, and ended up with a white paper and a book. The objective was to understand women’s professional behaviors and to decrypt the conducts (quantitative, best practices, dos and don’ts…) both in person and online. For those of you interested in virtual networks, I gathered genders estimates in this table, in the book p32: a few of the best known online social networks (Compiled in Sept. 08. Sources: Cybernetnews, NYTimes, Nielsen, LinkedIn, Rapleaf, myspacemoneymagnet, mashable, plaxo, findarticles, secondelife, red herring, spoke, viadeo, Xing, Adconion). 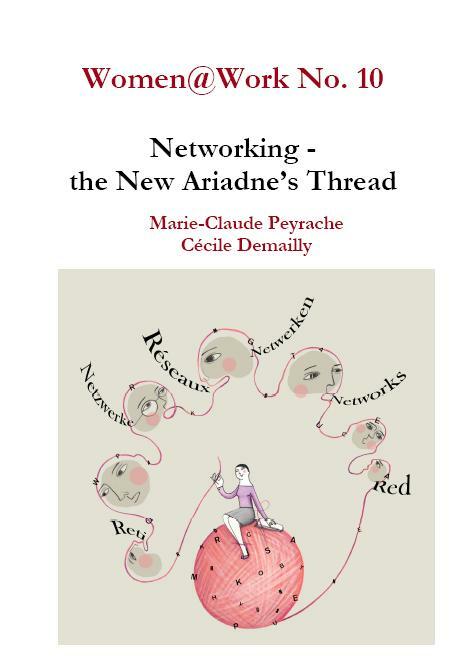 Both the “How do women network?” survey results and the book are available in French : “Comment réseautent les femmes?” and “Réseaux – le nouveau fil d’Ariane”. Both books can be bought from Amazon.fr. Happy reading !